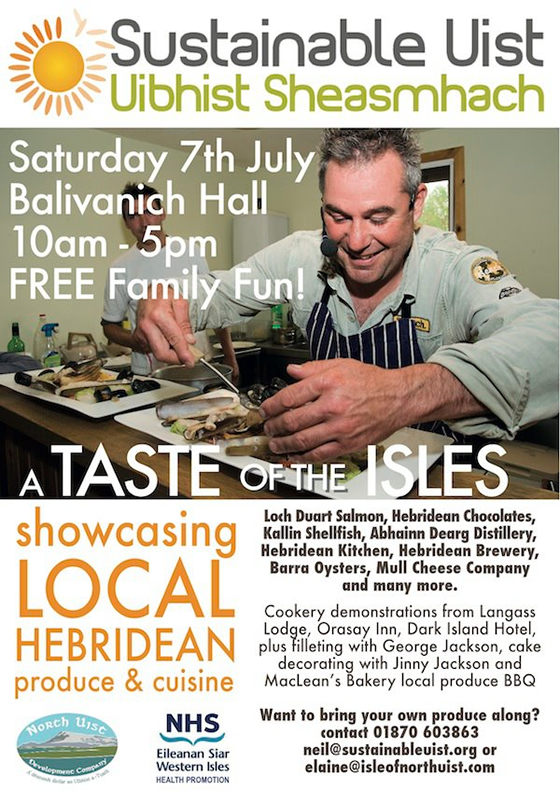 The Taste of the Isles food event is being held inside Balivanich hall on Saturday the 7th of July between 10.30am and 4.30pm and is free and open to anyone to come along. If you would like a chance to show or sell your own produce or if you know anyone who might, please get in touch with me at this email address. There will be plenty of fresh delicious food and drink from the surrounding Islands to taste and buy! Not to be missed and back by popular demand are the cookery demonstrations from a host of local chefs using only the freshest Uist produce. Also watch expert fishmonger George Jackson demonstrate the filleting of locally caught fish!